Being an avid baseball fan, I love statistics and the stories they create and tell. Here are some statistics for you to consider. The Florida Department of Transportation estimates that there are approximately 15.62 million licensed drivers in the State of Florida. Of those 15.62 million licensed drivers, approximately 24% of them are uninsured according to data from the Insurance Research Council. So, would you be prepared if and when one of these 3,748,800 Florida drivers carelessly hits you? Here is a little refresher for those of you that need it. 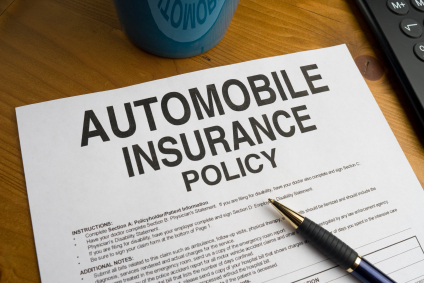 Uninsured Motorist (UM) Coverage is insurance you can purchase through your auto insurance company. It insures you and any passengers in your vehicle in the event of an accident caused by another driver who does not have any auto insurance. Similarly, Underinsured Motorist (also called UM or sometimes UIM) Coverage protects you in the event the driver that hit you did not purchase enough insurance to cover your damages (past/present/future medical bills, lost wages, etc.). So while the rest of the approximately 11.5 million licensed drivers in Florida do have coverage, not all of them have adequate coverage. UM insurance can also cover you in the event of a “hit and run.” Additionally, it can protect passengers in your vehicle at the time of the accident and it can protect you if you are a passenger in another vehicle. UM coverage can also protect you in you are hit by a car while walking across the street or riding a bike. Driver A is driving home from the game when she is violently rear-ended by Driver B. Driver A has $50k in UM coverage. Driver B has $10k in bodily injury coverage. Driver A sustained damages that exceed $30k. In this instance, Driver A can pull from both policies to collect her damages (with a good personal injury attorney of course). If Driver A did not have UM coverage, she would be out of luck beyond the $10k of Driver B’s insurance. How Much Coverage Should You Purchase? You have heard this several times I am sure, but seriously, buy as much UM coverage as you can afford! The benefits it provides far outweigh the few extra bucks you save a month by not having it. I have always purchased more UM coverage than bodily injury (BI) coverage because I don’t like the idea of insuring some random driver more than I insure myself. Sadly, some insurance companies don’t encourage their clients to purchase UM coverage because they will have to pay out more benefits in the event of an accident. Also, you may have heard the term “stacked insurance.” Stacked insurance essentially increases your UM coverage limits depending on how many of your cars are insured. While this feature costs a bit more, it can be extremely beneficial. Let’s say you have two cars, each with $25k in stacked UM coverage. If you are hit by a driver who does not have adequate insurance, you are able to combine the coverage limits for each vehicle under that policy, giving you a coverage limit of $50k, instead of the original $25k. Some insurance companies also allow you to stack across your insurance policies. As you should have quickly figured out, UM coverage is a MUST HAVE. If you do not currently have it, call your insurance provider as soon as possible to discuss your options. If you have any questions regarding auto insurance in Florida or have been involved in an auto accident anywhere in the State of Florida, please do not hesitate to contact Kirilloff, P.A. at (904) 329-2718 or rkirilloff@kirilloffpa.com.